NETANYAHU IS A WAR CRIMINAL = 100,000 BRITISH SIGN PETITION TO ARREST NETANYAHU WHEN HE STEPS FOOT ON BRITISH LAND | Concise Politics -- Your Time should NOT be wasted. CAMERON IF HE BLOCKS AND PROTECTS THIS WAR CRIMINAL UNDER UK ”LAW OF UNIVERSAL JURISDICTION” = REVISED AND USED TO PROTECT TONY BLAIR = COULD PROTECT NETANYAHU AND THEIR CRONIES. At 100,000 = A debate in the House of Commons is required and Netanyahu may decide to postpone his visit to the United Kingdom. Or parliament could be pressured to delay the debate until AFTER Netanhayu’s visit. 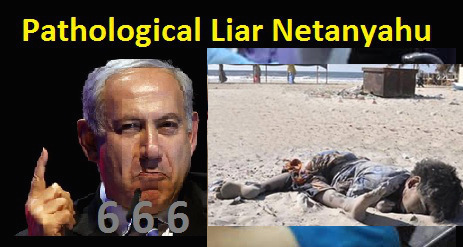 FACT: Ample documentation shows Netanyahu = War criminal. FACT: Netanyahu has partners in the US, Britain, France and Germany are complicit in supporting a war criminal. PETITION = Send a clear message to Netanyahu of citizens’ arrest. This entry was posted in NETANYAHU IS A WAR CRIMINAL = 100000 BRITISH SIGN PETITION TO ARREST NETANYAHU WHEN HE STEPS FOOT ON BRITISH LAND and tagged NETANYAHU IS A WAR CRIMINAL = 100000 BRITISH SIGN PETITION TO ARREST NETANYAHU WHEN HE STEPS FOOT ON BRITISH LAND. Bookmark the permalink.